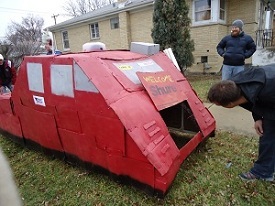 Door-to-door transport company. 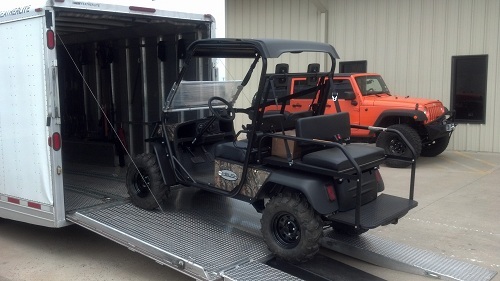 Your ATV or UTV does NOT need to be crated. Fluids do Not need to be drained. Ship ship my types of UTV's and ATV's. We even do one of a kind items such as the mini dominator. 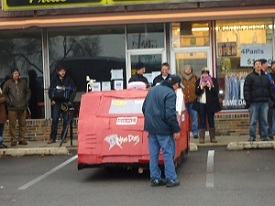 We shipped this unit to the for filming with the guys from the show Storm Chasers. 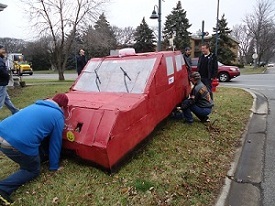 This ATV has a covering over it to make it look like a replica of the real dominator for chasing tornados. 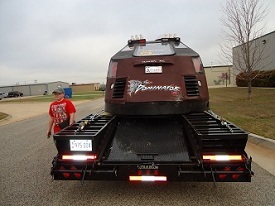 Our driver Jimmy ships the real dominator around the country as seen on the trailer below as well. Are you in a rush for a quote? We can call you NOW to give you a FREE ATV shipping quote!